Do you feel weak and tire easily? Are you short of breath? Look pale? When I see patients with these symptoms, I suspect they may be suffering from anemia caused by an iron deficiency. Iron deficiency is due to too little iron in your body. It is the most common nutritional deficiency and the leading cause of anemia in the United States, especially among women. Iron is important because your blood needs it to carry oxygen through your body. If you do not have enough iron, your body makes fewer and smaller red blood cells, and you cannot get enough oxygen. Left untreated, anemia may cause fatigue so severe that you can’t even complete everyday tasks. It may also lead to a rapid or irregular heart beat (arrhythmia) and even congestive heart failure. If you suspect you or someone in your family has anemia, see your MPCP doctor. We will do a physical exam and ask you questions about your medical history and your symptoms. We will also run some blood tests. These tests may include a complete blood count to look at your red blood cells and an iron test that shows how much iron is in your blood. Treatment for iron-deficiency anemia will depend on its cause and severity. Treatments may include dietary changes and supplements, medicines or surgery. I also recommend that people help prevent nutrition-based iron deficiency with a diet that includes good sources of iron. For a list of dietary sources of iron, see this article by the National Institutes of Health, Office of Dietary Supplements. 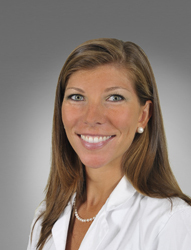 Dr. Andrea Cuniff sees patients in MPCP’s Annapolis office. She is certified by the American Board of Family Medicine.